Latest breakthrough: Graphene aerogel 3D printing! There is a lot of new developments in the field of materials for Additive Manufacturing uses, from 3D printing with Glass or Cellulose to the world’s strongest material Graphene. We will actually talk about the latter one again as it’s not only the most sturdy component but also the lightest! How is it possible to combine both of those characteristics in one material and use it in Additive Manufacturing? Find out now. The main component of Aerogel is graphene, which is one of the strongest materials on Earth. Graphene is mainly used in batteries and aerospace industries, but a version of it, called Graphite, is commonly used in pencils. Not only that, but Graphene also performs outstanding electrically conductive characteristics. However, Graphene in a 2D state is a single layer of carbon atoms and can’t perform its excellent qualities as its mechanical properties are not the best. How can we keep the prominent properties of Graphene at the same time keeping it the lightest and strongest material in the world? For scientists, the challenge was to keep those outstanding characteristics of Graphene. If you just stuck the layers of graphene one on top of the other, they don’t keep their strength, they need to be separated. It was tried to be achieved through different approaches. Researchers developed 3D printed graphene foam using a laser, however, the method was not perfect. More promising take on the matter had Kansas State University and University at Buffalo with their innovative development of new components and freezing it back in 2016. The material in question is called Graphene Aerogel and is officially recognized by the Guinness World Records for being ‘’the least dense 3D printed structure’’ of 2018. It’s electrically conductive, flexible and of course one of the lightest materials available to us now. 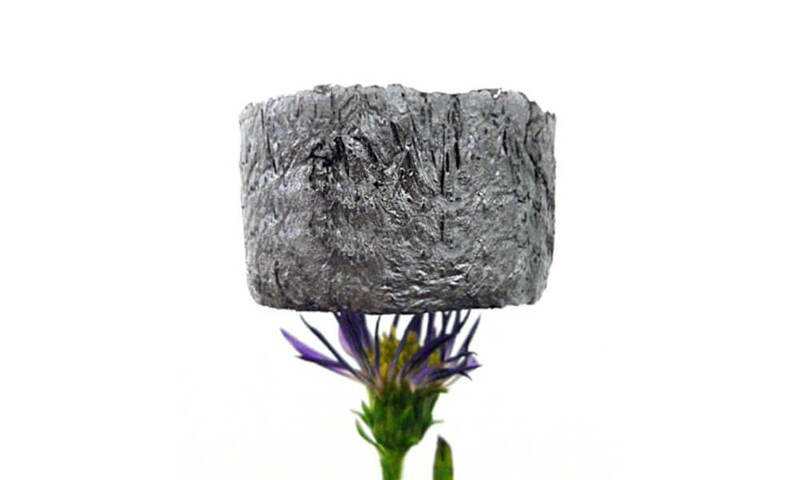 The structure of graphene aerogel allows for the graphene to keep its amazing properties at the same time keeping the material super lightweight. How is it possible? The magic happens thanks to low density filled with airy pores of the aerogel. That was already an achievement, but the scientists kept developing graphene aerogel 3D printing. New Graphene Aerogel 3D printing technology with resin: how does it work? The latest development of Graphene Aerogel 3D printing was done by Virginia Tech and Lawrence Livermore National Laboratory. Their technology is based on diffusing graphene within a gel to produce a resin. Ryan Hensleigh, Virginia Tech Ph.D. student and one of the scientists working on Graphene Aerogel 3D printing, explains that this technology is: ‘’a significant breakthrough compared to what’s been done’’. Their technology is based on diffusing graphene within a gel to produce a resin. The key element of this process, called Projection Micro Stereolithography (PuSL), is the 3D printing resolution. With PuSL the scientists were able to reach the Graphene Aerogel 3D printing layer as low as 10μm, which is the closest to the carbon atom thickness of 2D graphene so far. This 3D printing method is possible thanks to UV LED light, which cures the graphene resin into a solid. The process finishes with drying the structure in a furnace to dispose of the leftovers of components added before to create a gel. The process is explained below in detail on the picture below. Thanks to this 3D technology Graphene as one of the lightest materials on Earth can now be used in three-dimensional manufacturing systems. Xiaoyu Zheng also explains that ‘’when you try to 3D print graphene or scale up, you lose most of their lucrative mechanical properties found in a single sheet form’’. He later adds that the results of aerogel 3D printing with PuSL method ‘’make a complex, three- dimensional architecture of graphene while still preserving some of its intrinsic prime properties’’. 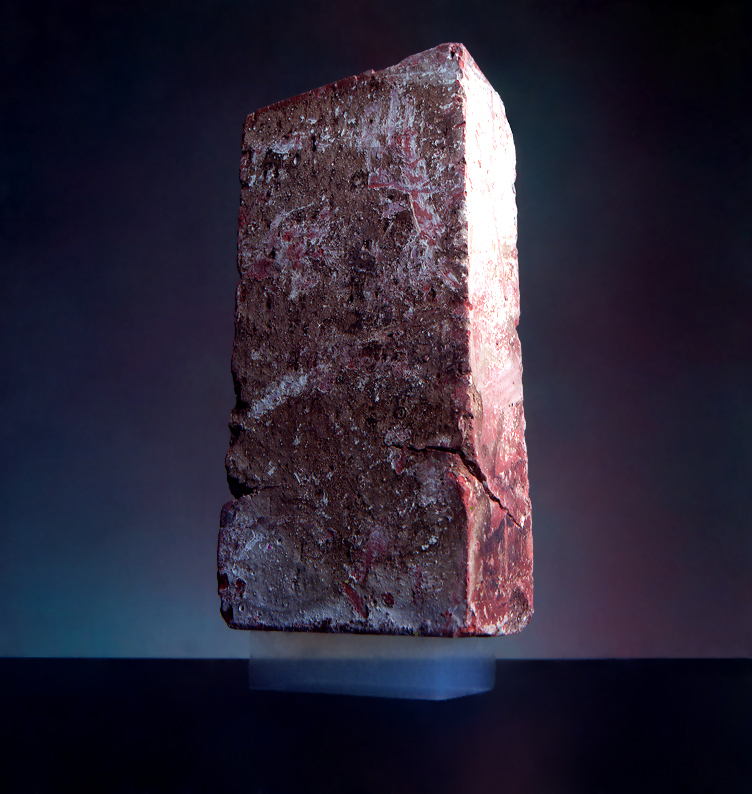 The picture below shows a 2.5 kg brick standing on aerogel mass of 2 g! That clearly shows that Graphenes structure can handle abnormous stress without any damage. Why would we use aerogel 3D printing? This ground-breaking invention of Graphene Aerogel 3D printing allows the researchers to print very complex structures and shapes keeping them ultra lightweight and strong. It also allows for the creation of different lattices which potentially can absolutely revolutionize the production of parts for automotive and aerospace industry. Graphene Aerogel 3D printing can also have potential application in biomedical applications to regenerate of a damaged electrogenic tissue such as nerves, bone or skeletal and cardiac muscle. It can be also widely used for much more efficient energy storage thanks to its conductive properties. ‘’Now a designer can design three-dimensional topology compromised of interconnected graphene sheets’’ said Xiaoyu Zheng ‘’This new design and manufacturing freedom will lead to optimization of strength, conductivity, mass transport, and weight density’’. 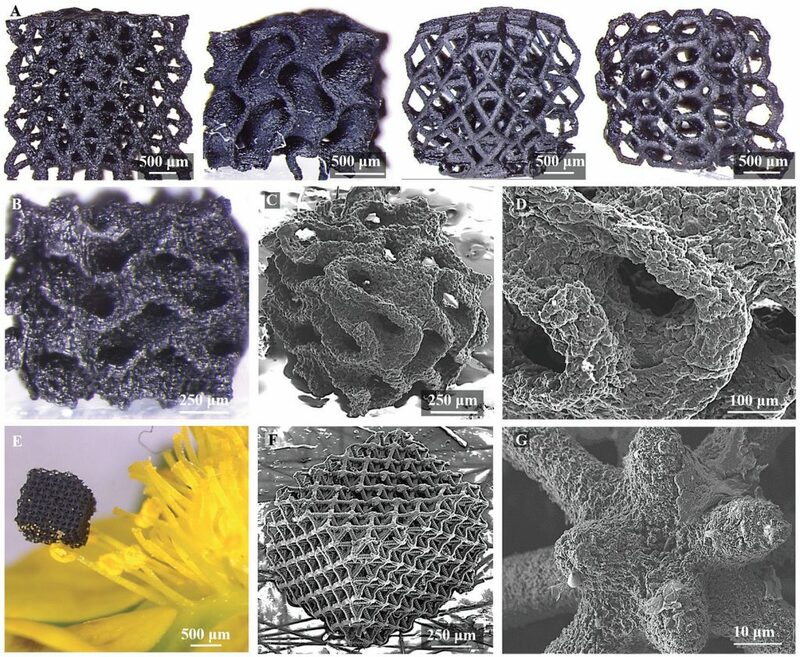 As you can see the potential of Graphene Aerogel 3D printing is just exceptional and Graphene itself will have a remarkable influence on many industries. However, all those developments wouldn’t be possible without Additive Manufacturing technologies. With 3D printing technologies, even the sky isn’t the limit and we might see Graphene Aerogel 3D printed objects in space or as parts of the rockets. Moreover, if you already see how great 3D printing can be, you don’t even need to own a 3D printer. Simply upload your 3D models to our online 3D printing service or contact us if you have any questions! And don’t forget to subscribe to our Newsletter to stay up to date with the latest 3D printing news!